Sporting Clube de Goa put up a gritty performance to hold Federation Cup champions East Bengal to a goalless draw in their opening encounter of the I-League football tournament at Nehru Stadium, Fatorda. Sporting Clube with all their local players played their hearts out against East Bengal as they held the ball for long with quick short passes though they could not penetrate inside the the rival defence where Uga Okpara stood tall. Whenever they created chances, they failed to find their shots on target or rival keeper Abhjit Mondal brought off good saves. East Bengal changed gear in the second half and held the ball for major part and pressed hard to break the deadlock in the last 10 minutes. 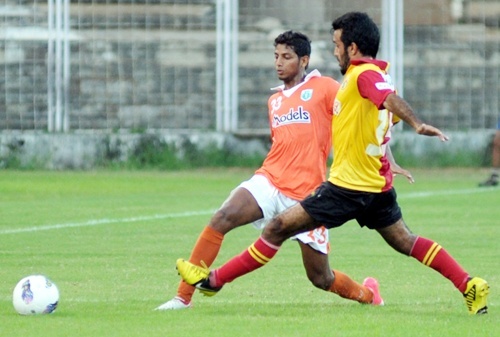 But, the Goan side packed more men in the defence and held to hold the Kolkata side to a draw. 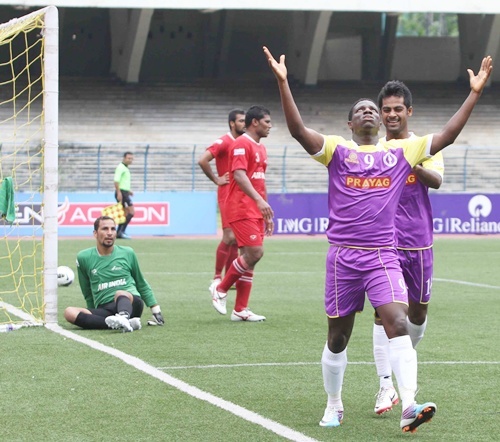 United SC's star acquisition Ranty Martins fired in a hat-trick in their opening sixth I-League fixture to humiliate Air India 5-1 at the Yuba Bharati Krirangan. The local challengers played with 10 players for 70 minutes after defender Bello Rasaq was sent off in the first-half but they showed tremendous resilience to thrash the airmen. In his first I-league appearance after switching from defending champions Dempo, Martins struck in the 13th, 32nd and 57th minutes while K Asif (65th) and C K Vineeth (80th) completed the rout. Mickey Fernandes provided the lone reply for Air India with his 23rd-minute goal.After a forgettable Federation Cup campaign where they were eliminated in group stage, United SC had more heartbreak in store as Rasaq was shown a red card minutes after taking the lead. But they regrouped to finish with a 2-1 lead at the break.